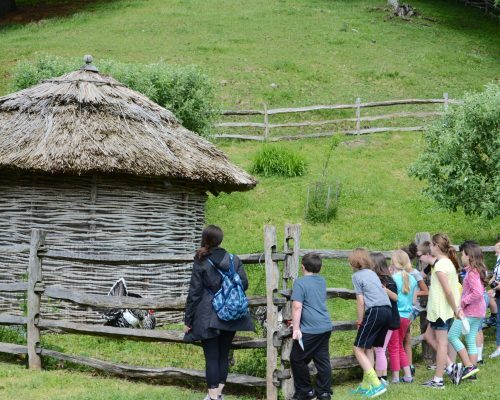 The Farmers' Museum Turkey House is always a favorite with students and visitors. The turkey house at the Farmers’ Museum is a reconstruction based on historic designs found in The American Poulterer’s Companion. 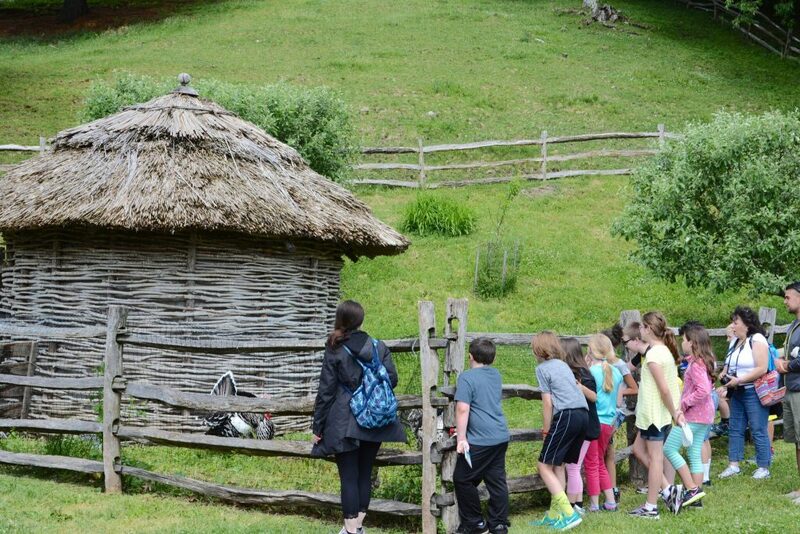 The house is made with poles, interwoven with saplings, to form a type of structure known as a “wattle.” The structure is covered by a thatched roof made of rush gathered from local marshes. 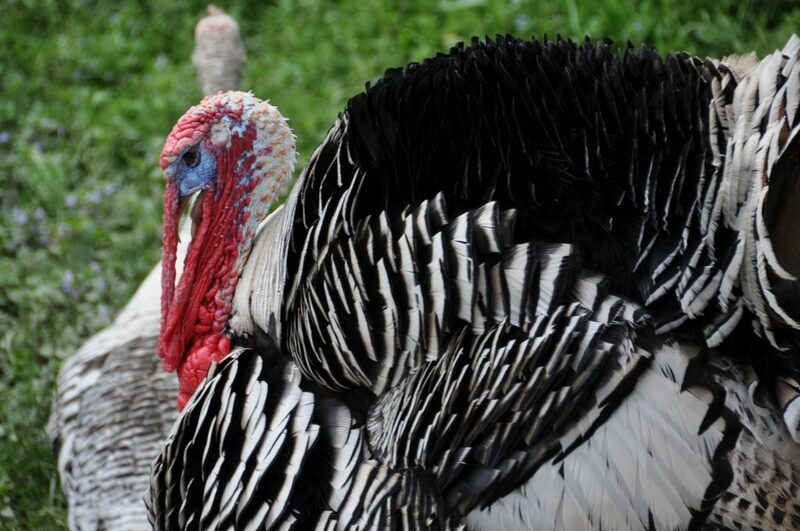 The turkey house provides shelter for the flock during inclement weather as well as shade in the warmer months. 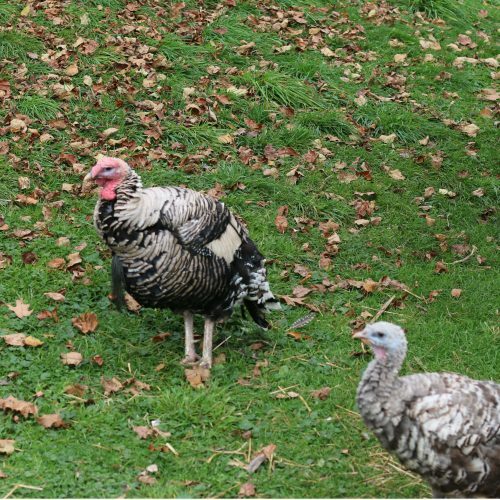 The house provides a safe place for the turkeys to roost and lay eggs. 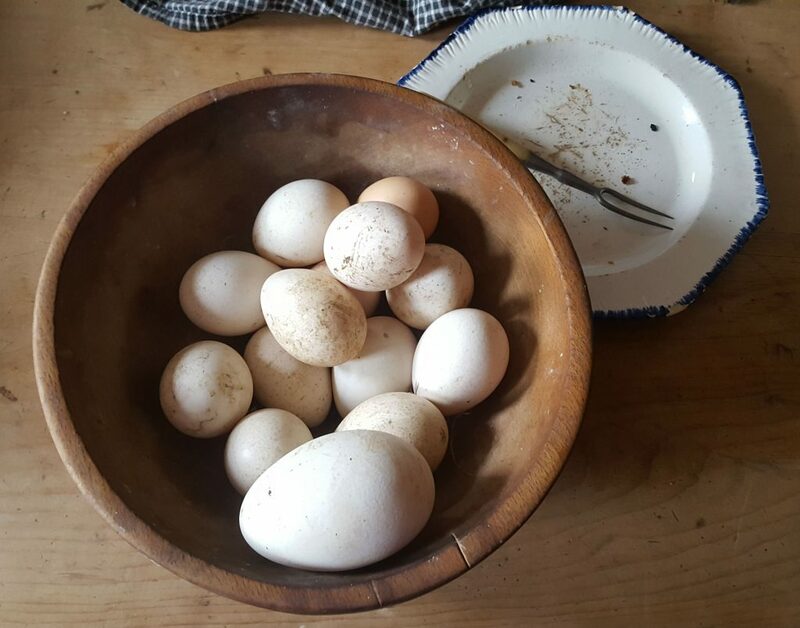 Eggs were a central part of a farm families’ diet in the 1840’s, and as a result, turkeys were kept more for their eggs than their meat. 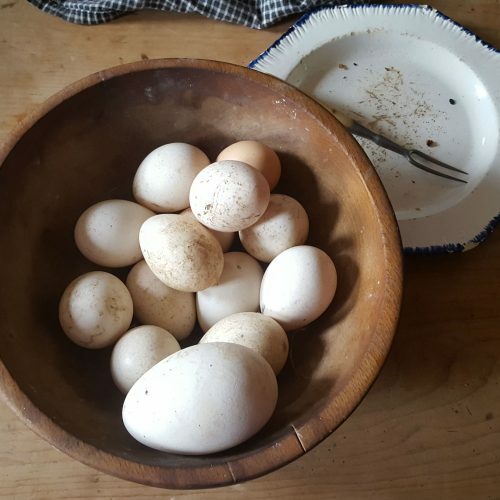 Turkey eggs are much larger than chicken eggs but taste pretty much the same. 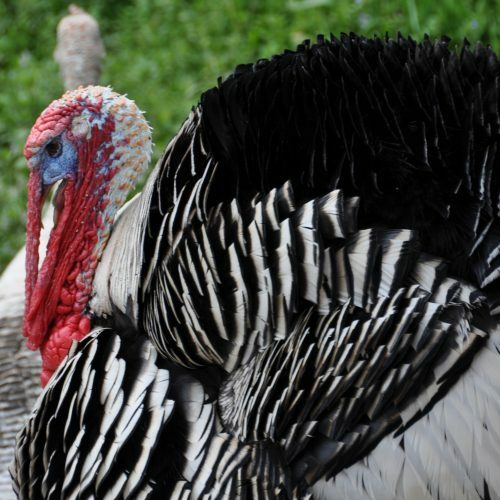 According to the American Livestock Conservancy, heritage turkeys are “defined by the historic, range-based production system in which they are raised.” Domesticated turkey are all descended from wild turkey found in North and South America. 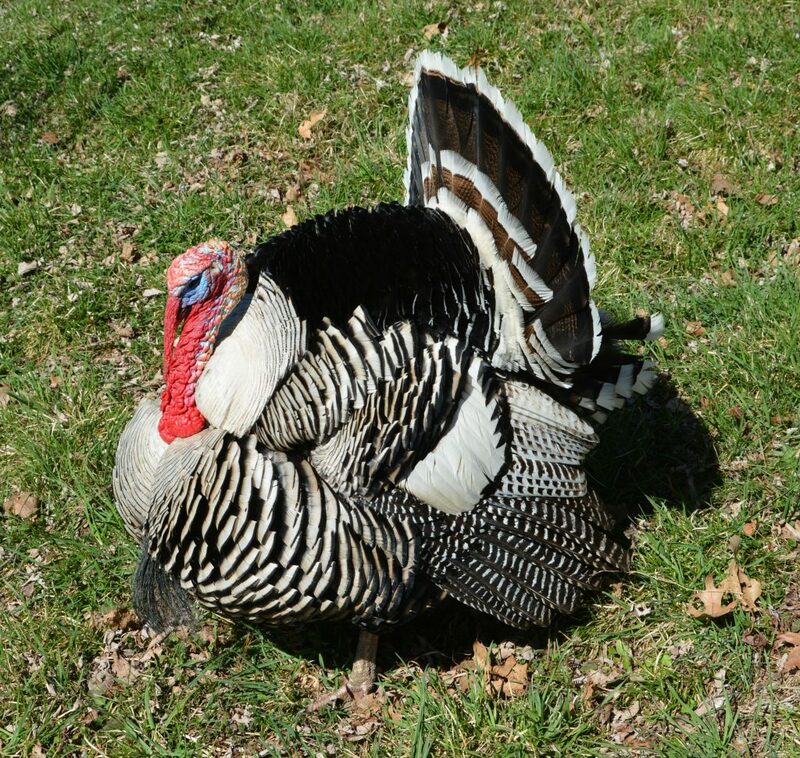 The Farmers’ Museum raises heritage breed Narragansett turkeys. 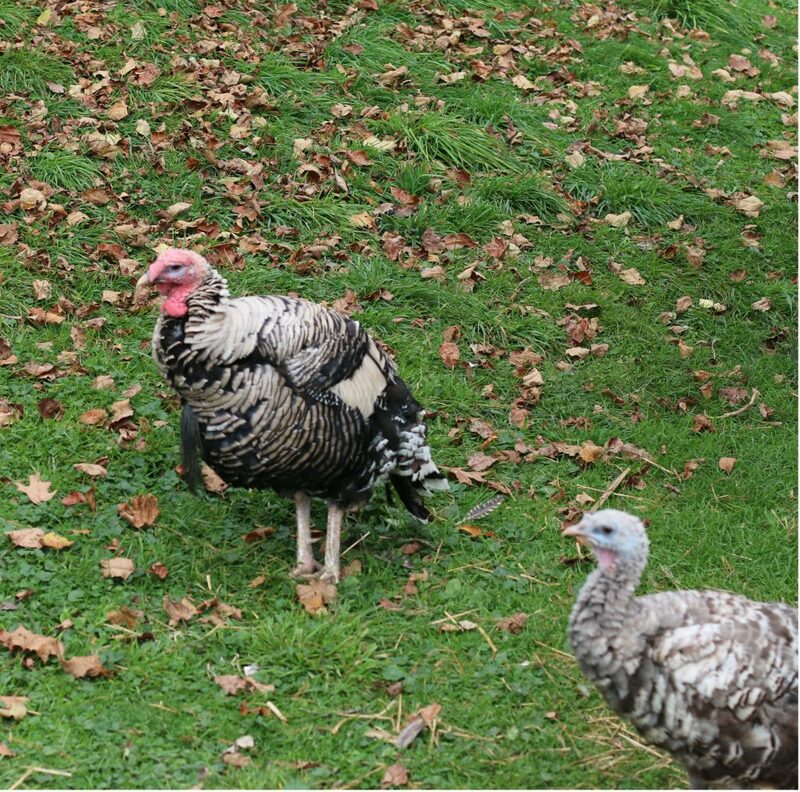 These turkeys were popular on farms in the nineteenth century. 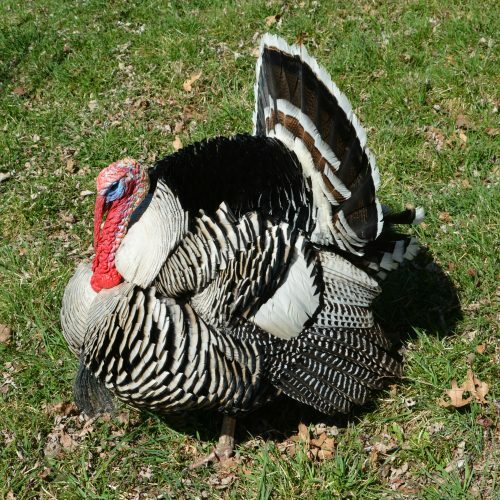 As the Livestock Conservancy states, “Narragansett turkeys have traditionally been known for their calm disposition, good maternal abilities, early maturation, egg production, and excellent meat quality.” These qualities made them a good choice for farm families in the 1800’s as well as good museum poultry today!